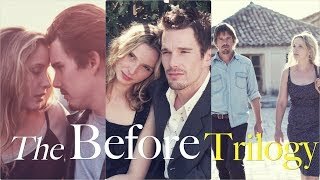 An American college student (Academy Award-nominated Ethan Hawke - "Training Day," "Snow Falling on Cedars") is 14 hours away from leaving Europe and returning to the United States. 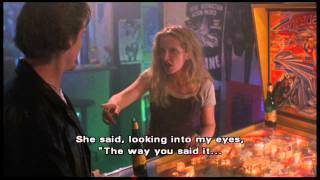 But a chance encounter with a French student (Julie Delpy - "An American Werewolf in Paris," "Europa, Europa") leads to a spontaneous and ultimately romantic excursion to Vienna where the two share their experiences about life and love before he heads back home. Set against the charm of old-style Europe, their passionate first kiss won an MTV Movie Award for Best Kiss. An intelligent and moving romance written and directed by acclaimed independent writer/director Richard Linklater ("Waking Life," "SubUrbia"). 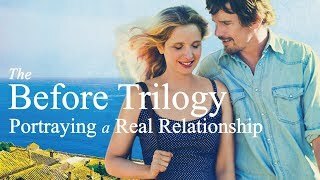 Before Sunrise (clip2) -"So I'm the crude, dumb, vulgar American..."
Before Sunrise (clip13) - "if it adds somthing to your life in any way"
【SPOILERS】Before Sunrise (clip15-part1) "I'm gonna call my friend in Paris"
【spoilers】Before Sunrise (clip13) "Are you dating anyone?"